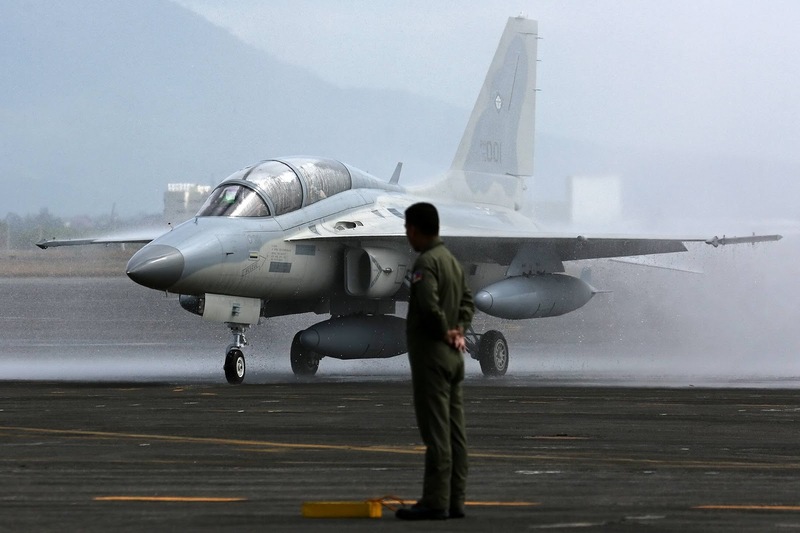 MANILA, June 5 -- An FA-50PH "Fighting Eagle" jet aircraft is now supporting government troops engaged in clearing out Maute Group terrorists in Marawi City, Lanao Del Sur. This was confirmed by Armed Forces of the Philippine (AFP) spokesperson Brig. Gen. Restituto Padilla Monday, adding that the Mach 1.5 capable jet aircraft was already employed for some time. The deployment of the aircraft in the conflict-hit city comes after SIAI-Marchetti SF-260 light attack aircraft was grounded due to the ongoing investigation of the "friendly fire" incident which killed 10 soldiers and wounded seven others last week. He also added that despite last week's "friendly fire" incident, air strikes are still allowed and permitted especially when requested by ground commanders to suppress enemy resistance. It is also capable of conducting ground-attack missions. Padilla said the decision to use a particular aircraft is dependent on its load carrying capacity and targets it is ordered to attack.